The Sportyak is the ideal dinghy. Man - powered or with a small engine, she is perfect in all situations and can be easily stored. During holidays, it becomes a safe big toy for the children. 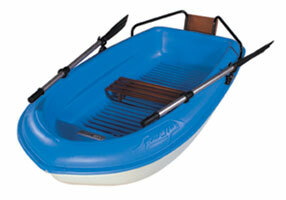 In harbours, lakes, rivers or on the beach, in any situation, the Sportyak is the most versatile dinghy available.